It has been one of the key trade routes for over 2000 years now with a history going back before the Roman Empire. 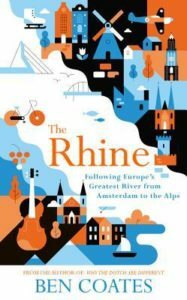 However, it was in the 1800s that the rise of Germany nationalism meant that the Rhine grew in significance in that country and was seen as a source of German Strength. 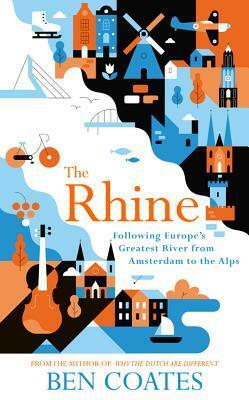 I had always considered the Rhine purely a German River, and that is probably why. Until reading this book I hadn’t even thought any more about it. It turns out that it also flows past and through a number of other European countries. Starting in his new home country of the Netherlands, Coates will take us on an 800-mile ride and run from the mouth at Hoeck van Holland where it flows into the North Sea all the way to the source in the Alps. This river now has 50 million people living along its length and as he passes through notable cities then we are told some of their histories with a little on what he thinks of the place at the time. It is full of relevant snippets of information, for example, I didn’t know that Basle had a port and access to the sea via the Rhine and there is actually a Swiss merchant navy! I did wonder when reading it that if he had undertaken the journey in stages. Sometimes he seems to have his dog with him and other times not, as well as switching between running and cycling. It did feel a bit disjointed because of this. He does occasionally come up with the odd amusing moment, but he is no Bill Bryson. It is a reasonable blend of travel, history and personal experience and a reminder that sometimes you don’t need to travel far to discover things. Seven months and having travelled 45,000 miles by trains all over the world, Monisha Rajesh and her fiancé were almost home enjoying the luxury of the Orient Express. Jem was flicking through her notebook looking at the places they had been and the railways that they had travelled on. Beginning at the Eurostar terminal they were across to the continent in record time, ready for their onward journey to Moscow. This was to be their longest journey, an epic eleven-day journey across the vastness that is Siberia before it neatly dropped them off in China. 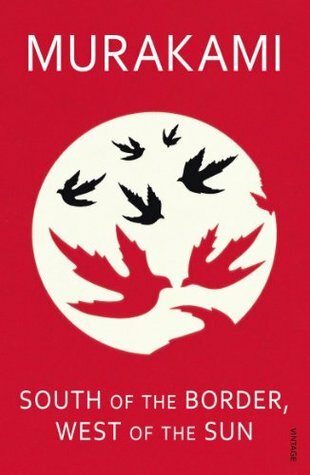 They travel back and forth across the world, travelling through America, Canada, Kazakhstan, Mongolia and even a ventured into North Korea to see the public face of the dystopian state. The quality of the trains varied enormously too, the cool precise efficiency of the Japanese Bullet trains that whisked them across the country to the Vietnamese trains that left a lot to be desired with the quality and reliability. 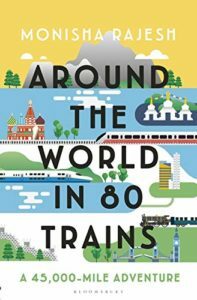 On each of the journeys, they engage with their fellow passengers teasing out stories from those travelling with them, sharing food and experiences and always hoping to make the connections to their next train. In some of the countries, she goes into a lot of detail, highlighting the political situation in Tibet or expanding on newsworthy stories to add depth to the narrative. Part of the reason for travelling by train is that there is more opportunity to interact with the people around you, something that you don’t get travelling by car or even in a bus and I’m beginning to think that this is the way to travel. It is not always super fast, though some of the high-speed trains have made serious inroads into flying times, the main point of trains is to take the time to see the countries that you are passing through and absorb the culture in the places that you stop. A lot of the time in the book we only have fleeting glimpses from the train window of some of the countries they pass through. Thought that this was a shame, but it probably would have made the book twice as long. I really enjoyed this, she writes well and mixes the conversations and the places well to portray the ambience of that moment. I thought it was better than her previous book too. A refreshing take on the world that isn’t from someone who isn’t from a conventional background and who is prepared to engage and interact with the people who she meets, rather than merely observe. If there was one flaw though it is missing a map of her journeys and it would have been nice to have a list of the trains that she travelled on too. Alec Pryor finds a man, Cyril, that he picks up at a fairground and manages to persuade him to come home for the night. He offers payment and Cyril refuses to accept, but Pryor realises that £3 has been taken. He contacts him and Cyril returns to the home, where they have a row. A few days later he comes home to find that £10 has been taken and contacts him again, Cyril thinks it might be a friend of his. Pryor goes to the police with the story and they fingerprint the house and it turns out to be this associate. He is picked up by the police and when he is questioned tells them of the liaison between Alec and Cyril. Alec Pryor is charged with gross indecency. He is forced to agree to a series of injections that are a chemical castration, the cure of the time, for homosexuality. As these hormones start to change his body from a lean runner into something that feels unreal, he begins to dream of past and present events. Some are relieved with the stark emotions from the time, others have a more surreal horror to them. Other dreams are about the future of AI and how that will overlap with human consciousness. Interwoven with the dreams and the correspondence he has with June, a lady he almost married, but chose not to as he didn’t want a marriage just for show. Even though the protagonist is called Alec, this is a pseudonym for the brilliant mathematician and code breaker, Alan Turing. There were parts of this book that I liked, for example, the letters back and forwards between Alec and June, but the dreamlike states in the second part of the book are as complex as they are confusing a lot of the time. I did struggle with it, and at times I really couldn’t get along with it. That said, Eaves is obviously a writer of some talent and I think it will be worth exploring some of his other work. May even give this a re-read at some point. Fig leaves are really not practical, hence why humanity has been making and using woven cloth for thousands and thousands of years for clothing, shelter and many other things. But before you can make cloth, you need to spin, a technique that uses the much shorter elements of the material that you are using and makes it into longer chains that become useable threads. These threads are then woven together by hand, or simple loom, or now days by industrial machines that can create metres of cloth with hundreds of threads that can all be individually controlled to create patterns. 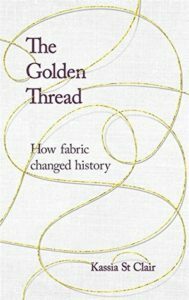 Beginning with the very origins of weaving, we then head to Egypt where we learn that as much as the Pharaohs liked their gold, it was the linen cloth that was really considered important. China is the next country to feature about how the silks that they made became so sought after and drove a number of economies along the Silk Road. Wool is the next material, and to find that Viking ship sails were made from wool was quite a revelation. I imagined a saggy jumper hanging from the mast, but it wasn’t like that. Wool was also a huge source of income for England at the time, considered so important that the Woolsack became the reminder in Parliament how we have relied on this material for our prosperity. There are chapters on the modern materials and fabrics that allow mankind to reach some of the most extreme places on our planet as well as occasionally off it in space. How materials can be used to help athletes perform at a much better level and the future of fabrics as they look back at the natural world for inspiration for the next big thing. Though it is worth remembering, for all the technological advances made, there are still instances where a handspun thread can be much fine than one off a machine. It was a really interesting book on humanities relationship and dependence with cloth, how it has permeated our languages and people have made and lost fortunes from it. I didn’t think this second book was quite as good as her first, The Secret Lives of Colour. There seemed to be a lot of time spent on certain things and glossed over others and I did spot the odd error too. Stunning cover and not a bad read overall. If you have been following me for a while, then you’ll know I read a lot of travel books. These are the conventional sort, a person heads off to another location in the world with the intention of discovering something from an unexplored corner or to experience another culture. They often discover as much about themselves in the process though. But there are little journeys that barely make it from the lesser pages of the newspapers or stories from the lower depths of the internet that rarely get heard about. Jo Tinsley and David Bramwell have found these tiny personal odysseys and brought them together in this collection. You can read about the man who claim to have sailed around the world, whilst only going as far as the Atlantic, those that set off with the intention of finding the centre of the earth, POW’s who were helped in their escape by an unexpected source and complete cadavers and body parts that have kept moving long after you’d expect them to stop. We do live in a strange world, and this great little collection goes some way to proving that the truth is often much stranger than fiction. Some of these tales are quite amusing and others are little tragedies but they are all fascinating in their own right. 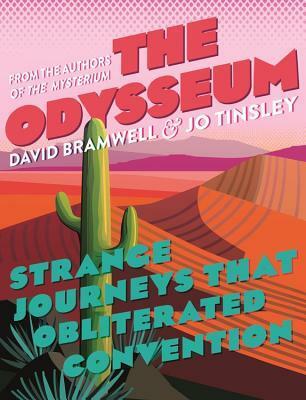 It fits in really well with The Mysterium and I am looking forward to the third book, The Odditorium , very soon. If there is one thing that you need more than your brain, then it is your heart. Over the course of a normal life, the heart will beat around 115,00 times a day which equates to 42 million times a year. Over your lifetime it will pump a staggering 158 million litres of blood. For years was seen as the centre of our soul too, but that attitude changed with the rise of scientific understanding of the way it worked. But what goes around comes around and modern research has shown how the heart can react and change shape as it reacts to feeling and trauma. It is the organ that is the very centre and essence of us. Sandeep Jauhar has a close affinity with this organ, not only is he a practising cardiologist, but he only needs to go back to his grandparent’s generation to find the roots of his own heart issues. That journey from them to him will take us to the pioneers and mavericks who have discovered so much about it. There is William Harvey who discovered that the blood flowed down the arteries and somehow passed through the flesh and was pumped back up the veins. Inge Edler who made the connection that ultrasound that was being used to find battleships could also be used on the heart to see it working and John Heysham Gibbon who spent thirty years of his life developing a heart and lung machine to oxygenate the blood, opening the doors to being able to perform surgery on the heart without the patient dying. This and many other innovations and groundbreaking advances have lead us to the point where we move ever closer to the artificial heart. 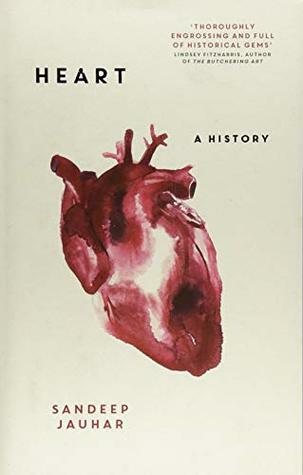 This is a good overview with enough depth in it too for the casual reader of how we have got to where we are now with our understanding and treatment of the heart. There is also Jauhar’s personal story of heart disease in his own family and how it impacts his health, but how these diseases have affected all sorts of people from all levels of society. Growing up as an only child in Japan was quite unusual, but Hajime had go used to not having other brothers and sisters around. He was attracted to Shimamoto, another of his age who was an only child. They spent many afternoons listening to her father’s record collection. His parent decided to move away and they lost contact. He had a girlfriend, Izumi, but they never got close and his attention was diverted elsewhere. He drifted around for a while ending up working for an educational publisher until one day he got caught in a storm and dashed undercover, there were two girls sheltering from the rain and it was there he met who was to become his soul mate and wife, Yukiko. Now in his late thirties, he is the owner and manager of two successful jazz cocktail bars and is happily married with two daughters. Life is good, but it is about to change once again because as he is sitting at the bar one night he realises that one of his customers is Shimamoto, the girl who haunted his teenage years and has been a figment of his dreams is now there, in his bar, and looking more beautiful than ever. Even though this is the moment that he has dreamt of so often, all that he has achieved is now going to be in jeopardy. 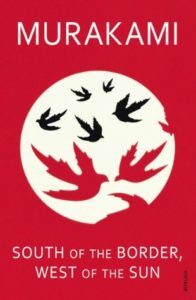 I think that is one of my favourite of Murakami’s that I have read so far. 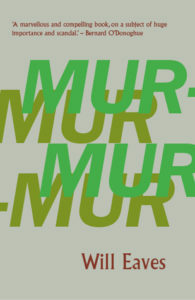 It contains a lot of his familiar tropes, ideal if you are playing Murakami bingo (here). There is less magical realism in it as well, instead, it is firmly rooted in real life. He is not yet at the mid-life crisis point, and while he isn’t unhappy, he is not feeling happy either. The girl who he knew and once loved reappearing in his life once again is the catalyst to unravel what he thought was never going to change. There are elements of mystery in it too, another ex who appears in the same area he is living now who he glimpses through a window one day and Shimamoto who comes and goes like the wind and leaves no trace of her movements. Can thoroughly recommend this as I felt it was more readable than his other books. This is the story of three women, each a generation apart, told over one day in their lives. One of the threads tells the story of Clarissa Vaughn who is hosting a party for her award-winning poet-friend Richard who is suffering from the ravages of AIDS. Around fifty years earlier, Laura Brown is an American housewife and young mother who over the course of her day spends some of it reading Mrs Dalloway hoping to escape domestic drudgery in the pages of the book. The third main character of the book is the troubled author, Virginia Woolf and it is set on the day that she begins to write Mrs Dalloway. It is a clever idea linking the three stories all intertwined together with the common link of the book Mrs Dalloway. Picking up on details of their lives, Clarissa shopping for flowers for Richard, Laura wanting to stay in bed rather than face the stark realities of that day and Virginia avoid eating to spend time alone and writing. He picks up on their fears and insecurities as well as the small victories they pass through the day. I have read one of his other books previously, Land’s End: A Walk in Provincetown, and really liked it. This had been recommended to me via a friend on Twitter and managed to get hold of a copy, so I’d thought I’d give it a go. However, even though the writing is quite special, especially one particular moment that is one of the key points of the book, it really didn’t work for me. 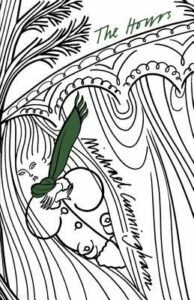 Not sure why, possibly because the link between the three characters is gossamer thin, but I think it might have been because of the Woolf connection. The only book of hers that I have read before, To The Lighthouse, I could not get along with and so it seems with this one. Regardless of their particular hue, politicians, these days have made themselves one of the least respected professions for a whole raft of reasons, being out of touch, self-serving and how shall I put this, economical with the truth a lot of the time. A sizeable number of them have never worked outside the Westminster bubble either, going straight from a degree from the right university into a policy unit or working for politicians directly. Very rarely these days do you come across one who has a hinterland. In essence, this means someone who has finally become a politician after having experienced the world and workplace and is probably better placed to make a sensible decision. 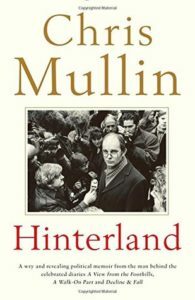 Mullin was one of those people who did have a life before politics, he had been a journalist reporting from the wars in Vietnam, Laos and Cambodia. Tracked down the survivors of a CIA operation in Tibet, written three novels and successfully campaigned to free those wrongly imprisoned. He was first elected to parliament as a Labour MP at the age of 39 and immediately set about asking the difficult questions to those who had made themselves too comfortable. Because of this he was not always liked, even by those in his own party, but his persistence and consistency meant that he earned the respect of other MPs in the end. He was asked to be a junior minister under Blair and New Labour and worked for three departments by the end of his time in government. Mullin much preferred being on the Select committees though where he felt he had much more influence that he did as a junior minister. I picked this it up because his diaries were a brilliant expose of what it was like to be an MP and a junior minister. It is a little different from those though as this is a potted biography of his life before and outside the political arena, though naturally, he does venture in there as it did take a lot of his life up before retirement. He has far more depth than most current shallow politicians and that alone makes this worth reading. Over the course of six years from the late 1950s the bodies of eight prostitutes were found murdered close to the River Thames. It took the police a while to realise that they had a serial killer on their patch, but the similarities between the murdered girls and the way that they had been killed and left meant that there was no speculation. What the motives of the killer were, puzzled the police and as to his identity, they had no idea at all. The media at the time called him Jack the Stripper and there was no end of speculation as to who he was. The last murder was committed in 1965 and that was the last time that he was thought to have killed. Five years later the detective in charge of the case claimed that as they closed the net on the suspected killer he committed suicide. The Police then declined to reveal his identity and it was this act that prompted further speculation as to who it was. 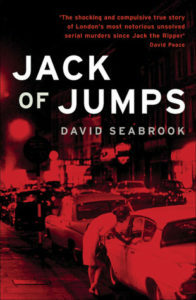 This book is David Seabrook’s take on who that person was, based on interviews with surviving police officers, witnesses, and others who knew the victims personally. I first discovered David Seabrook when Granta kindly sent me a copy of All The Devils are Here. It was one of the strangest books that I read last year, and in it, he mentions these murders. As my library had a copy, I thought I’d give it a go. Seabrook peers into London’s dark seedy underbelly and the underclass of people who inhabited the bedsits of this world. Naturally, he comes across the Krays and many other unsavoury types and slowly reveals who he thinks is behind the deaths of these poor girls. There is almost too much detail at times in his profile of the victims and I felt that this spoilt the flow of the narrative a little. This crime has never been solved. There were various conspiracy theories as to who the man was from security guards, police officers and even a murderer who had escaped the gallows. This is the time before DNA analysis and the essential clues that would be found now were not recoverable then and it wasn’t helped by all the evidence being either lost or destroyed. That said, it was still a compelling read.